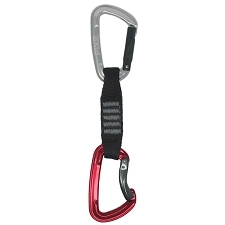 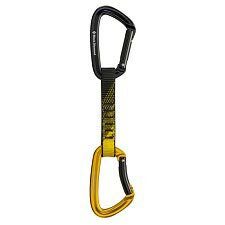 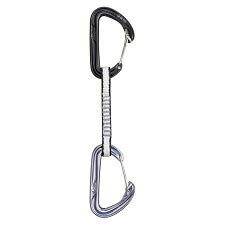 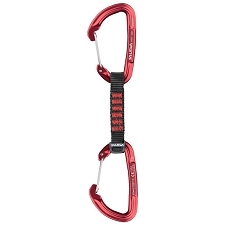 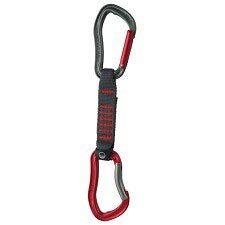 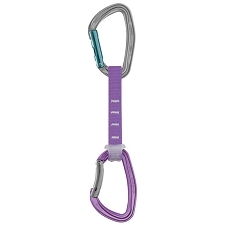 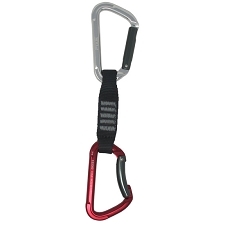 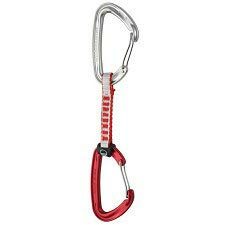 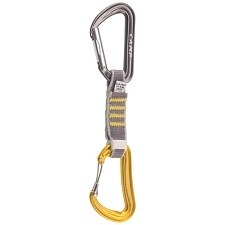 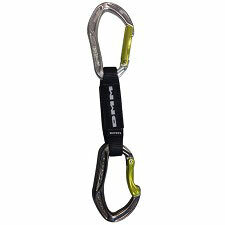 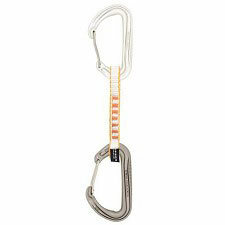 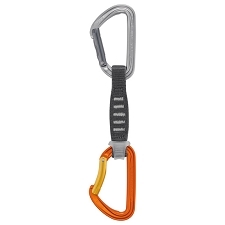 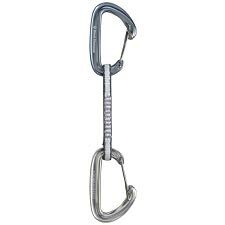 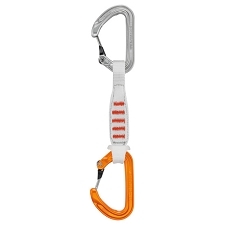 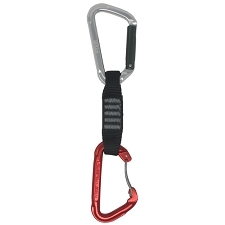 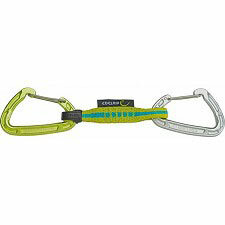 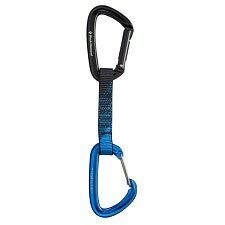 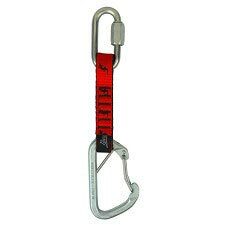 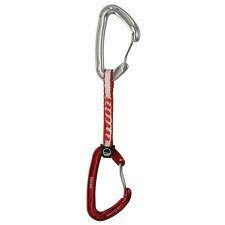 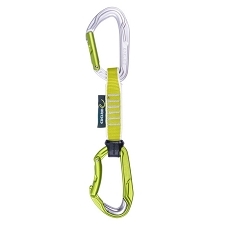 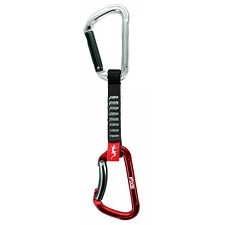 This quickdraw for sport climbing comes with a Nitron carabiner with straight gate and a Livewire wire gate carabiner with HoodWire technology. 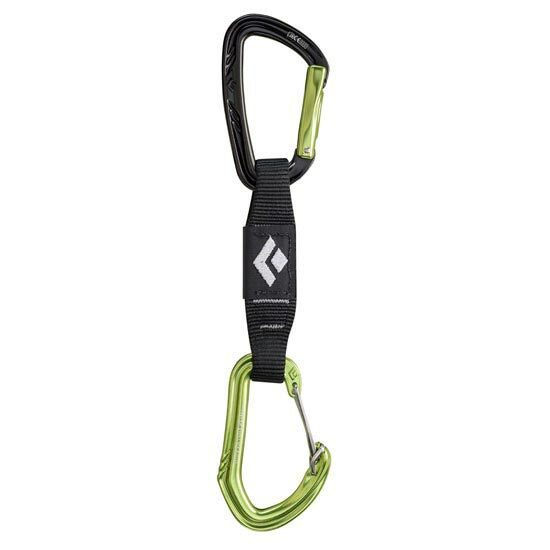 Providing a secure connection between rock and rope, the Black Diamond LiveWire Quickdraw is the brand&apos;s top−of−the−line sport climbing draw with the snag−free benefits of HoodWire Technology. 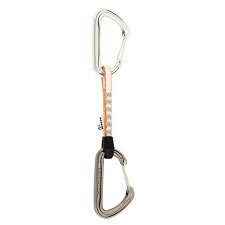 The LiveWire carabiner on the bottom features a simple metal wire over the nose, which allows for keylock functionality in a wiregate design. 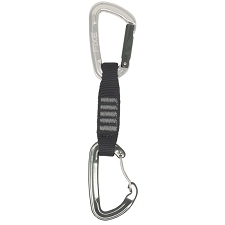 The durable, east−to−grab Vari−width dogbone also features a Straitjacket insert to keep the bottom biner properly oriented. 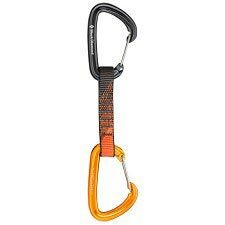 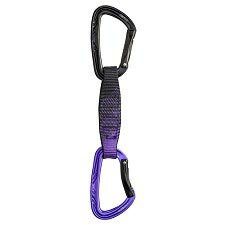 Customer Opinions "LiveWire Quickdraw 12 cm"